As most of you know, our wonderful friend, Holli, has had a tough year. She was diagnosed with both liver and heart failure – with a heart function of only 20%. Holli has been in and out of the hospital multiple times due to her declining health, and has been told that her only chance at survival is a liver and heart transplant. 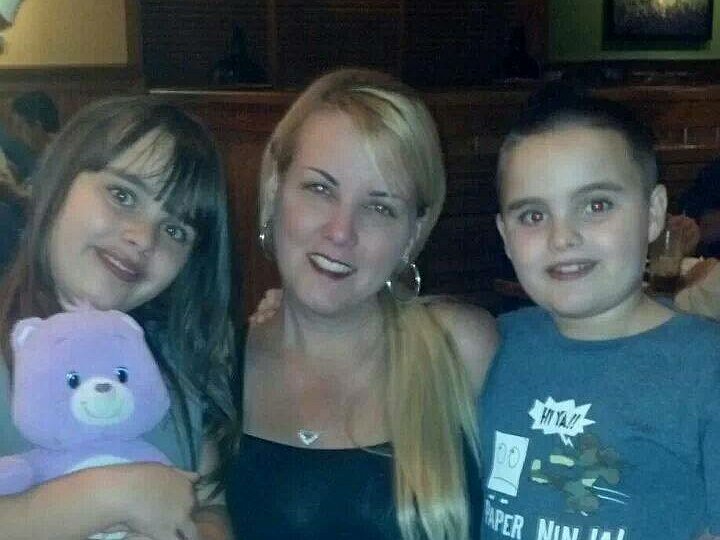 Holli has a great chance of beating her illness and now is the time to help her and her family. Holli was born and raised in Hialeah, FL where she will always call home. She went to Florida International University and graduated with her bachelor’s degree in Criminal Justice. She is the proud mother of 10-year old twins, Ryan and Caitlin — they are her driving force, “her angels,” in this tough battle. Holli now lives in Sebring with her parents so that she can receive the care that she and her kids need. Together, Holli and her family are committed to seeing her through the transplant so she can continue to raise her beautiful children. Transplants are life-saving but financially draining. Even with insurance, Holli will have many uninsured transplant-related expenses such as: co-pays and deductibles, doctor visits, travel and temporary relocation housing close to the transplant center and the costly immunosuppressant medications that she will need to take for the rest of her life. Tampa General has informed Holli that she must first raise $11,500 before she can be placed on the active transplant waiting list. To help with the financial burden of Holli’s uninsured expenses, a fundraising campaign in her honor has been established with HelpHOPELive, a trusted nonprofit organization that has been providing community-based fundraising guidance to patients and their families for more than 30 years. All donations are tax-deductible, are held by HelpHOPELive in the Southeast Heart/Liver Transplant Fund, and are administered by HelpHOPELive for transplant-related expenses only. Please consider making a contribution today by clicking the DONATE NOW bar. If we all make a donation, in any amount, it will truly be appreciated. Each donation will bring our dear friend Holli one step closer making her transplant a reality — now is the time to help. I thank you all in advance for your prayers, support and generosity. God bless you all. You have got this! Your a beautiful angel and your so strong. The strongest woman I can look up to right now. I believe in the powers of God and Healing. I know, by seeing your page, it has been an awful hard year for you. Your children, family, friends and all of our prayers are here for you. Sending you love and prayer, daily. Holli always stay focused and stay strong! Holli, My prayers are with you and your family during these challenging times. Faith will carry you through.and with prayers, bring you health!! Let your FAITH be bigger than your fears! Praying for you Holli! May God bless you! My beautiful friend, You're in my thoughts and prayers daily. I know you're going through a difficult time right now but know that everything is going to be 110% ok. All my love to you and your beautiful children always!! You are in our prayers! We love Holli! Praying that the Lord will heal you!! Have faith!! James 5:15 And the prayer of faith will save the one who is sick, and the Lord will raise him up. We are praying for you. Sending you lots of love! You are in my prayers, Holli. Have faith, it will all work out. Holli, sending you all my positive energy and prayers. God has control of you. :) Mark 5:34 He said to her, "Daughter, your faith has healed you. Go in peace and be freed from your suffering." James 5:15 And the prayer of faith will save the one who is sick, and the Lord will raise him up. All my prayers never give up you can beat this. God speed Prayers for you and your family. I have faith that you will be fine. Stay strong and know you have hundreds of friends praying for you. As another parent of boy/girl twins you are in my thoughts and prayers! Please check with both your local club of Parents of Multiples and the National Parents of Multiples organization as they may be able to offer further assistance or at least broaden the exposure to your issue. I'm so sorry I am praying for you and your family! may God keep you as strong as you are through this difficult time. I dont know but I will pray for you!God Bless you and ur family! Stay Strong Baby!!! Love you madrina!! We will get through this!!! Holli, Thinking of you and your family. You WILL overcome this! You have a lot of people supporting and rooting for you. Hang in there girly!! Godspeed! Keeping you and your family in my thoughts and prayers! I know you can beat this! My prayers are with you Holli, may the Lord give you and your beautiful family strength to make it through this difficult time. Holli, I'm so sorry that you are going through this. The good thing is, you are not alone. God is carrying you during this most difficult time. You have many people who love you and are praying for you. God will be glorified during all this process, just believe. He will never leave you nor forsake you. I love you my friend and you are in my prayers. God bless you, and I want to hear the great news when you are fully recovered! My prayers my friend and best of luck ! Holli. You have our support and prayers. Hang in there, you have a lot of people rooting for your full recovery. We'll all make this first step a reality. God will handle, please have faith. best wishes and praying for you Holli . My dear friend, we are all here to help you get through this. Stay strong & never stop believing. Sending you prayers & lots of xoxoxo!! Praying for you!!!! Everything will work out, you'll see!!! I will keep you in my prayers, Holli. You have such a beautiful spirit, keep it up, stay positive. You can and will beat this.... Please let me know if there is anything else I can help with. God bless, my friend. Stay strong my friend, u will beat this and live a long healthy life with your kids. Love u my friend!! You're in my thoughts. Happy to know I can help. Holli-- You will beat this! You and your beautiful twins are in my prayers. I know that $25 is not much, but I hope it helps! Will have you in my prayers, gringa! Holli, Be strong and keep fighting honey!! Sending my prayers. May God bless you and your family. Still here for you my friend. Still praying. Much love! GOD Bless. Will keep you in my prayers and will share the link with everyone. Keep fighting . DALE!